"Airhead Arihead Double Action Hand Pump"
This high-quality double-action Airhead Pump inflates and deflates tubes, airbeds, boats, toys and other inflatables. It delivers a continuous stream of air on both the up and down strokes. But with a simple clockwise turn of the release valve on this hand air pump, you can pump air only on the down stroke. This feature is especially helpful when the inflatable is almost full and there's back pressure. The accordion-style hose on this durable double-action hand pump stretches to 5 feet in length and interlocks to the pump, so that it doesn't fall off while you're pumping. With a high capacity of approximately 68 gallons/60 strokes, the AIRHEAD AHP-1 Double Action Hand Pump comes with universal valve fittings and is especially useful for topping off towables, since peak pressure is 14 psi. This inflates inflatable SUPs to optimal pressure. Inflates inflatable SUPs to optimal pressure! Keep all of your inflatable items ready with the Intex Hand Pump. It has a large nozzle thread, making it ideal for inflating athletic balls. With the ability to deflate items, as well, it's versatility is a must-have for home use or sports team use. The high-output pump is accordion style with four nozzles, so that you can air up not only balls but toys and rafts, as well. The GameCraft Hand Ball Pump makes it simple to keep your sporting equipment inflated and ready to go. This device makes multi-ball inflation quick and convenient. The hand air pump features an in-line gauge providing correct pressure readings for various types of balls. It also includes a convenient foot rest to keep the pump steady while in use. 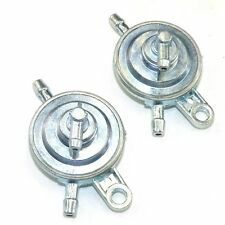 Simply slide the valve needle into the ball's inflation port and use the handle to blow up soccer balls, basketballs and more. This Hatsan PCP Hand Pump has built-in protection against moisture, dust and debris with filters and traps embedded in the handle to prevent all that stuff from getting into your air rifle. For optimal handling, it's equipped with an easily demountable design and adjustable pumping angle as well. And finally, the built-in gauge is not only super precise, it's also embedded in the frame to protect it from getting all banged around. Double Action, perfect for topping off towables. Four universal valve fittings are included. Accordion-style hose stretches to 5 ft. long. Volume is 2 liters / stroke. Peak pressure is 14 psi. Continuously pumps air on both the push down and pull up of the handle for fast inflating. This is a great option when your inflatable is almost full. This double action pump inflates and deflates towables, kayaks, boats, airbeds, and other inflatables. It delivers a continuous stream of air on both the up and down strokes. Simply turn the release valve counter-clockwise and you are pumping air only on the down-stroke. This is a great option when your inflatable is almost full and there is back pressure. Four universal valve fittings are included to fit Boston valves and stem valves. The accordion style hose stretches to 5 ft. long and interlocks to the pump, so that it does not fall off while you are pumping. Volume is 2 liters / stroke. Very effective for topping off large towables in the boat, since peak pressure is an impressive 14 psi. Three stage high pressure pump;Three-stage pump fills air reservoirs to 3,500 PSI. Designed to fill PCP air guns and the Pioneer Air bow. Includes a female Foster quick-disconnect on the end of the pump hose. 3-stage pump designed for pre-charged pneumatic (PCP) airguns. 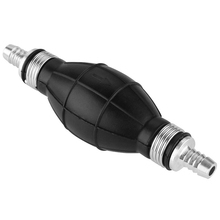 Features universal adaptor for fitting Crosman and Benjamin airguns. Sturdy grips, foot plate for stability and pressure gauge for monitoring pressure level. The Coleman Dual Action Hand Pump allows the user to quickly blow up or deflate inflatables remotely. Keep it on a boat and you will be able to fill tubes and flotation devices effectively and easily. The Sevylor dual-action hand pump comes with adapters to fit both Boston valves and pinch valves. 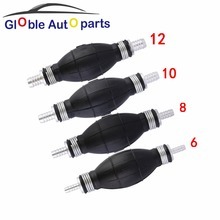 It easily switches between inflating and deflating with the twist of the connector lock. The Coleman hand pump comes with a wide-grip handle for comfortable handling. It also features a flexible hose that makes reaching each valve comfortable and easy to do. Keep this lightweight product packed in a boat or in your camping gear to make sure all your inflatables are topped up while on the go.